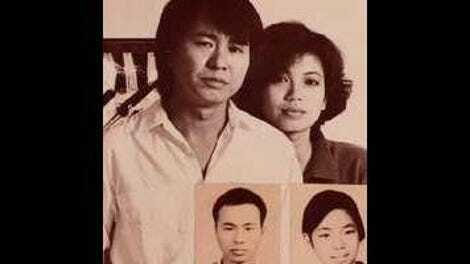 The late Edward Yang’s 1985 film Taipei Story portrays a couple that has begun to drift apart: the white-collar and upwardly mobile Chin (pop star Tsai Chin, soon to marry the filmmaker), who is forced to quit her corporate job after being demoted to secretary; and her sad-sack boyfriend, Lung (Hou Hsiao-Hsien, the other great Taiwanese director of Yang’s generation), who runs a textile store and is haunted by his past as a local baseball star. The original title translates as “green plums and a hobby horse,” a Chinese idiom for childhood sweethearts, meant ironically. But the English title, a reference to Yasujirō Ozu’s Japanese classic Tokyo Story, holds an irony of its own. With the exception of his final movie, Yi Yi, Yang’s work is less known to American arthouse audiences than the films that Hou or the younger Tsai Ming-Liang were making around the same time. One wonders if it has something to do with the fact that his movies appear to be focused on narrative, which in some cases can be harder to export than style. Calling one of his movies a “story” is wry understatement; it doesn’t capture the threading together of plots, subplots, character relationships, and social portraiture that makes a Yang film. His most ambitious works, including the mammoth A Brighter Summer Day, beg to be compared to 19th-century European novels. For years, those who did actively seek out his films often had to make do with dismal video bootlegs that only made it harder to appreciate Yang as a formalist. 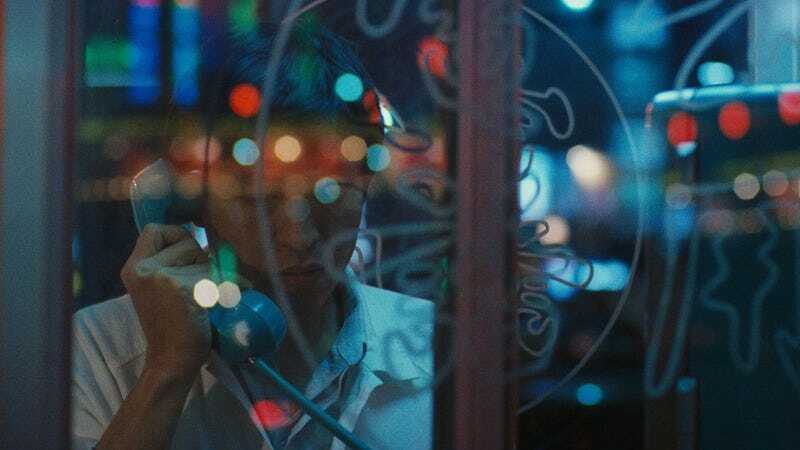 The most revelatory aspect of the World Cinema Project’s striking new 4K restoration of Taipei Story, then, is its visual clarity, integral to the nighttime scenes to which Yang always attached so much thematic importance. Yang was interested in filming modernity, like Michelangelo Antonioni a generation or two earlier. His movies pop with the industrial and commercial scenery of his adopted hometown of Taipei (like many of Taiwan’s notable directors, he wasn’t born on the island), and his camera and characters have a distinct way of regarding the unfurnished spaces of a room. Taipei Story, which was only his second film as a director, was an important step, both for Yang—who would next make The Terrorizers, his best early film—and the film movement that we now call the New Taiwanese Cinema or Taiwanese New Wave. It may not be the complete masterpiece that it has sometimes been hailed as—only a terrifically accomplished and affecting film that is one of many possible entry points into the work of a great filmmaker. Co-written with Hou and Hou’s longtime writing partner, Chu Tien-Wen, Taipei Story is like so many Yang films in that it doesn’t pinpoint the contradictions of modern living in characters so much as in what they navigate on a day-to-day basis: environments, spheres of couple-hood and family life. It paints a picture of a mid-1980s Taiwan awash with conflicting American and Japanese cultural influences. Yang is obsessive about cataloging and contrasting these: the music of Michael Jackson (both heard and referenced) versus the huge neon Fuji Film billboard that provides an arresting backdrop for several scenes; Lung’s preference for a karaoke bar over the faux Anglo-American “pub” favored by Chin’s wannabe-yuppie friends; the repeated references to baseball, the quintessential American pastime that is now arguably more popular in Japan. But because Yang almost never uses close-ups, but instead relies largely on medium-wide shots that can accommodate two or more characters, these things are seen as surroundings—part of the mise-en-scène, a term and concept that has sadly fallen out of fashion. It is the world in which Lung and Chin exist, framed lucidly by Yang and his cinematographer, Yang Wei-Han. Perhaps it isn’t as immediately atmospheric as Yang’s 1983 debut feature, That Day, On The Beach, which was also the first film shot by the Australian-born Christopher Doyle, later renowned for his work with Hong Kong’s Wong Kar-Wai. But Yang’s genius lay in the diversity of scope, tone, and realistic detail, which is present in Taipei Story, but which his later films would handle more ambitiously and fluidly. (In many respects, the most Yang-ian film to come around in some time might be Maren Ade’s Toni Erdmann.) The decline of a couple who has been together for too long is almost submerged within circumstances and incidents: Lung’s decision to dip into their savings to lend Chin’s father money to pay off an underworld loan shark; his recollection of the recent trip to America; rides and walks through the bustling city at night; the power going out at a nightclub in the middle of Kenny Loggins’ “Footloose,” leading everyone on the dance floor to whip out their cigarette lighters. The new restoration makes it easier to discern its beauty. This is not a purely formalist beauty that exists for beauty’s sake, but the bittersweet beauty of, say, two similar shots drawing visual parallels between a blue seaside and the view from an urban rooftop or a wind-up Pepsi promotional toy making its way across a desk—all part of a larger serio-comic tapestry.